This blog is a critical appraisal of the following randomized controlled trial: Expiratory Muscle Training in Spinal Cord Injury. Following a high spinal cord injury (SCI), patients can go on to develop respiratory complications. This can be a major source of morbidity and mortality. It was found that the occurrence of complications is 36% to 86% (Vázquez et al., 2013). This happens because the muscles used for breathing are weaker and the effectiveness of the patients breathing will be reduced. The patients’ ability to cough strongly to clear their lungs can also be impaired. These factors could result in a lung collapse (atelectasis) or infection in the lungs (pneumonia). This study was designed to investigate if expiratory muscle training on the pulmonary function of spinal cord injured patients would be effective. The researchers recruited 52 participants for this trial. However, 23 withdrew which left only 29. The criteria for the study were; patients between the ages of 16-60 who had recent traumatic or motor complete SCI at or above level T1. The participants were randomly assigned to either an active training or a sham training group. (Active n=16, sham n=13). The intervention group received training through the use of a Boehringer high pressure inspiratory force meter. The participants were seated with the device in their hands. They were instructed to breathe out into the tube. The training groups’ device had a closed end which created a resistance to the force of their exhalation. The sham group used an open-ended gauge. The technicians who were recording the readings from the gauge and those reading the tests were blinded to which group the participant was a part of. The paper does not however mention if the participants were blinded. The treatment was to be completed for 10 repetitions, twice a day, 5 days a week for 6 weeks. Each session was supervised. A comparison of pulmonary function at baseline and after the 6 weeks of treatment found that some of the key indicators general respiratory and expiratory function improved. However, a multivariate analysis failed to show any significant differences between the active and sham group on all but one of the outcome measures. The study found that there were improvements in many of the tests in both groups. Significant improvements were noted in the training group in FVC, FEV1, ERV, MEP and maximum inspiratory pressure. To assist in the assessment of the reliability of this study the Understand health research tool was used. When the study initially began there were 52 participants enrolled. However, a total of 23 participants ended up withdrawing which resulted in a rather small sample size of 29. The paper does not mention in depth why they withdrew but stated a majority were due to medical complications. This potentially influenced the final results following the treatment as no significant differences were found between the two groups. Bias was reduced in this trial using blinding and random organisation of the participants into the groups. However, it does not state how the randomisation of the groups took place. The authors themselves admit the study limitations. There could have been the need for a control group that received no intervention at all to be able to compare how the pulmonary function changes over time, and whether the improvements in the sham group were due to natural healing over time. Research has found that improvements in lung function will occur within the first year post SCI and improvements may occur spontaneously (Zimmer et al., 2007). 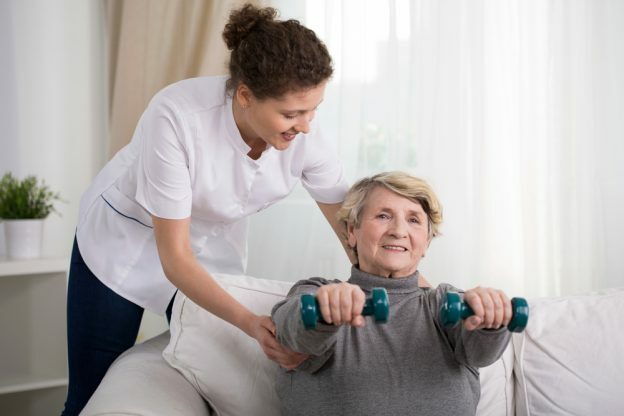 However, a study found that resistive muscle training in patients with a chronic SCI decreased the incidence of pulmonary complications (Rutchik et al., 1998). During the trial no patients were lost to follow-up. This also means that as no data would be recorded as missing there is no requirement for an intention-to-treat analysis. Only one of the outcome measures (MEP) had a statistically significant improvement as its p value was <0.05 in both groups. This therefore shows that the training answered the question as the training was specific to expiratory muscles and this outcome measure had the most significant improvement. This study found that there were no significant differences between the active and sham training groups following 6 weeks of expiratory muscle training. However, there were improvements in many aspects of pulmonary function in both groups. Further research is needed as this study was limited in its sample size and lack of a control group that should receive no training. Interesting study. My husband has a SCI (C6/7) and has found breathing exercises helpful, especially when a cough is beginning to develop, helping to clear his lungs.